World Record Title: the world's first possession of the first lumbar Tibet Tibetan tail palindrome comic verse changes people are Mr. Cui Changxi . World Record Rules: 1, verse possession of the first lumbar Tibet Tibetan tail palindrome serial changes . 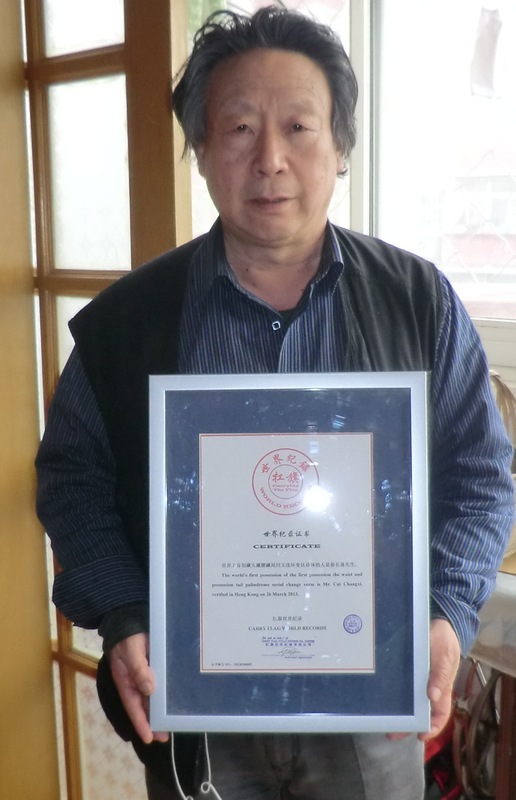 World Record Details: The world's first possession of the first possession the waist and possession tail palindrome serial change verse is Mr. Cui Changxi. verified in Hong Kong on 26 March 2013.